Searching for unique accommodation in Hawaii? Our Boutique Rentals section includes properties that have that something special. Boutique properties typically have fewer rooms, lending to a more intimate stay and excellent customer service. 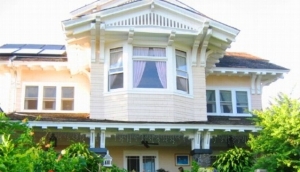 Boutique properties can be luxurious or may have an architectural or locational uniqueness that sets them apart from other Hawaii accommodations. Rejuvenate your body and soul at Hawaii Island Retreat. A boutique hotel & spa with a tranquil and restorative aura offering wellness packages and all inclusive retreats.